Paul Dougherty became a widely-known painter of dramatic marine scenes and desert landscapes. Dougherty was born in Brooklyn, New York, and the eldest of six children. He came from a prominent New York family; and his father, J. Hampden Dougherty, a lawyer and leader of the New York Bar, expected his son to follow in his footsteps. All of his life Paul had been interested in art. He sketched and painted constantly, and by the age of eighteen had one of his paintings accepted in the annual exhibition of the National Academy. Regardless of his early success in art, Paul graduated from Brooklyn Polytechnic Institute in 1896 and New York Law School in 1898. But he was never to practice. He changed professions to art and studied with Robert Henri and in Europe for five years from 1900 to 1905 sketching and painting in London, Paris, Munich, Venice and Florence. While in Paris he met his first wife and they were married in 1902. Returning to America they settled in New Jersey. 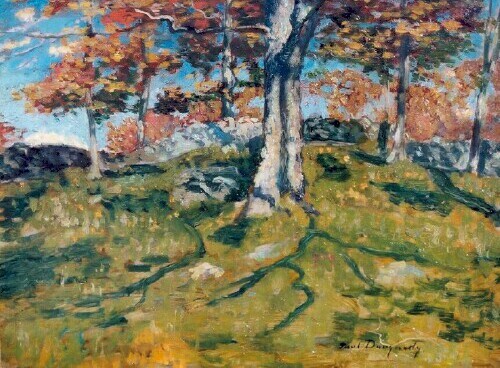 Paul Dougherty then painted along the coast of Maine, and his paintings were compared to those of Winslow Homer. Of his success, John Sloan said: "Everything came to him; all his pictures sold, he won all the prizes. The rich delighted to honor him, and his wives were glamorous" (Falk). In 1907, he was elected a Member to the National Academy of Design in New York. 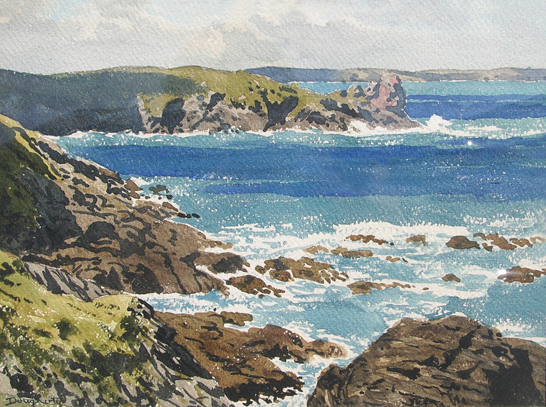 He experimented with sculpture but settled on marine paintings, primarily focused on the ocean. 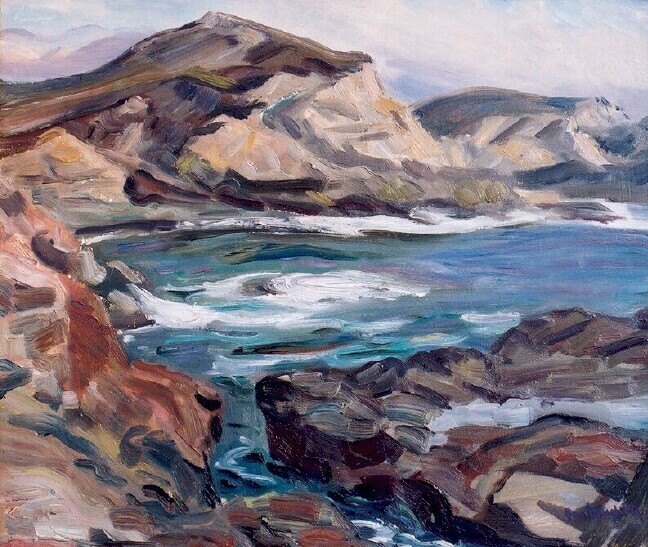 Arthritis forced him to seek a milder climate, and in 1928, he began spending his winters in Arizona where he painted desert landscapes and mountains. In 1931, he moved to the Monterey Peninsula in California and set up a permanent home and studio in the Carmel Highlands. 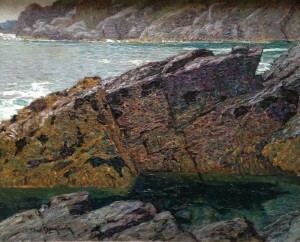 He became actively involved in the formation of the Carmel Art Association. He was a member of the Board of Directors from 1931 to 1941, serving as President in 1940. His work is in the collections of the Metropolitan Museum of Art; the Joslyn Museum in Omaha; and the Fort Worth Museum in Texas as well as many other museums.